Artists Melissa Forman and Paul Richmond from the You Will Rise Project visited Cornell University October 4 - 8, 2014 and created an art installation in Flora Rose House. You Will Rise is an anti-bullying initiative that empowers those who have been affected by bullying to speak out through the arts. Melissa and Paul use their art as a vehicle to express personal narrative and make a statement. They teamed up with Cornell students to create a powerful art piece that raises awareness about the multi-faceted issue of bullying. While on campus, the artists also hosted workshops, trainings, and presentations that wove together their commitment to art and activism. Artists Melissa Forman and Paul Richmond led two workshops where students had the opportunity to learn basic painting techniques and create an original work of art. These sessions helped staff recognize bullying and support students affected by it. Melissa and Paul hosted a dinner conversation about their experiences as professional artists, from the mural painting business they formed together in college to their careers today as gallery-represented fine artists. They also discussed their commitment to activism - empowering others through their nonprofit organization the You Will Rise Project. Artists Melissa Forman and Paul Richmond created this installation to represent the way labels, both positive and negative, can become a part of one’s identity. 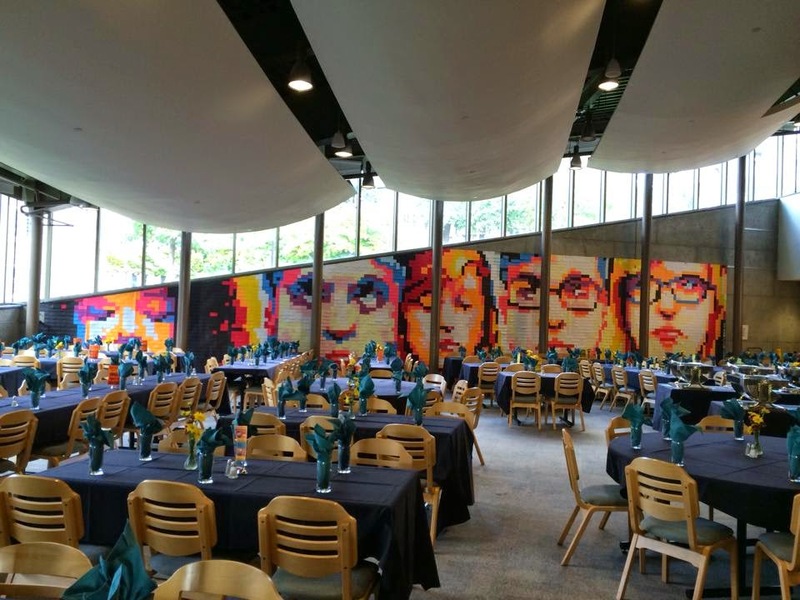 The faces depicted in the mural are portraits of young people who have participated in You Will Rise programming, constructed entirely out of Post-It notes. Many of the Post-Its contain words - both the negative taunts of bullies and positive, self-affirming adjectives - submitted by Cornell students and from around the world through the You Will Rise website. While the mural is on display, we invite viewers to interact with it by adding their own words to any of the blank Post-Its throughout the piece. See process pics and share photos of “Labeled” using the hashtag #YouWillRiseCornell. Melissa spends her time creating a richly visual world filled with characters created from an opulent, mysterious, and often eerie imagination. Her lovely, idealized figures seem lost in their own worlds, drifting between the 16th, 18th, 19th and 21st centuries. Created from a mix of appropriated imagery from times long past and modern photographs from her personal collection, her portraits draw from obvious traditions in the genre but take on a life of their own. Her figures are strangely perfect and almost frozen in their expressions and poses. They evoke a traditional sense of etiquette and grace while reaching outside of their image to provide a window into something deeper and far more human. While these mysterious, and sometimes withdrawn, figures were created from photos of friends and family of the artist, they are not meant to represent themselves, rather, they portray emotional states and aspects of the human psyche. Melissa has carefully calculated each one by changing colors and manipulating features to evoke a mysterious and sentimental mood. Alienated from their real world and time, these images become metaphors for emotional and psychological states. They exist as a product of Melissa's pursuit to create beauty and recognize the elegance and sincerity of genuine human emotion. 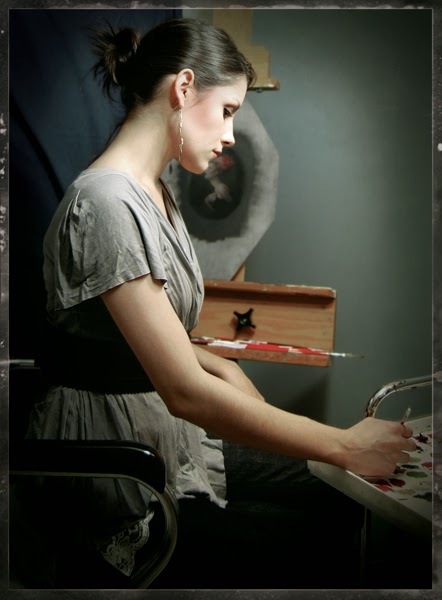 Melissa has been drawing and painting commissioned portraits since she was 14. She attended the Columbus College of Art and Design and graduated with a BFA in 2002. She now lives and works in Cleveland, Ohio. Her personal work has been shown in galleries around the world, from New York City to Seattle to Los Angeles to Berlin, Germany to Bristol, England. 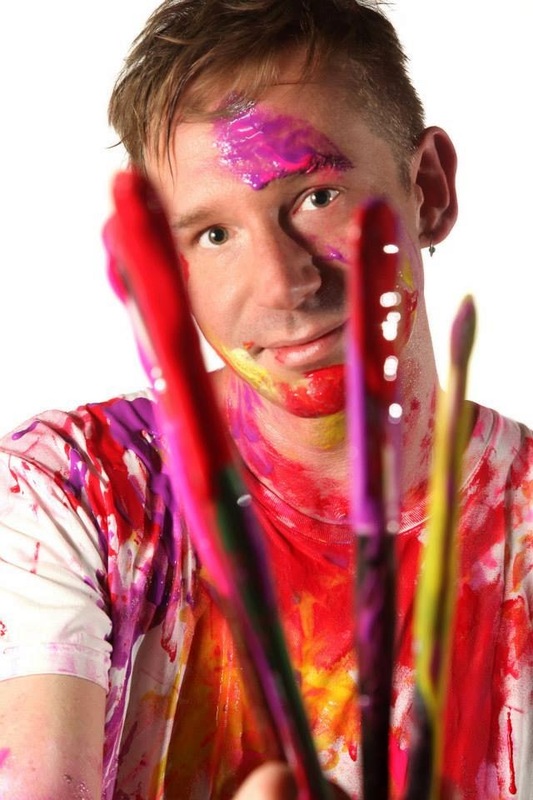 Paul Richmond is an internationally recognized visual artist and activist whose paintings draw inspiration from his own experiences as a young gay man. He graduated from Columbus College of Art and Design in 2002 and came out of the closet shortly thereafter. Since then, his artwork has become a vehicle for exploring and understanding his own journey, as well as developing a dialogue with other members of the LGBTQ community. Influenced by his own struggles as he came to terms with his sexual identity, he seeks to challenge social constructs that exist around sexual orientation and gender roles. His career has included exhibitions in galleries throughout the United States, as well as publication in numerous art journals and anthologies. His work is collected by individuals from around the globe. Paul is currently represented by Lyman-Eyer Gallery in Provincetown, Massachusetts. In his role as the Associate Art Director for Dreamspinner Press and their young adult imprint, Harmony Ink Press, he has created over two hundred and fifty novel cover illustrations. He teaches community art classes for Stonewall Columbus. He has volunteered with the Kaleidoscope Youth Center, encouraging LGBTQ teens to use art as a means of self-exploration and expression. He is a co-founder of the You Will Rise Project, an organization that empowers those who have experienced bullying to speak out creatively through the language, visual, and performing arts. Paul shares his life with husband, Dennis Niekro. They were married in a group ceremony with twenty-four other LGBT couples in front of the U.S. Supreme Court building in June 2013. Together, they are committed to using their artistic talents to raise equality awareness.